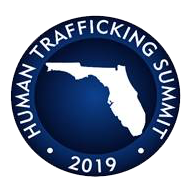 The 2019 Human Trafficking Summit will be held on Monday, September 30, 2019 at the Hyatt Regency Orlando in Orlando, Florida. Information including agenda, award nominations, hotel information, registration information, and speaker proposals can be found at www.humantraffickingsummit.com. Breakout sessions will focus on recent updates and developments in the following areas: legal/law enforcement; service delivery; policy and research; and medical/healthcare. Additionally, four awards will be presented: Survivor Advocate of the Year; Community Advocate of the Year; Prosecutor of the Year; and Law Enforcement Official of the Year. Award nominations may be submitted to OAGHT.Summit@MyFloridaLegal.com through Monday, September 2, 2019. Speaker Proposals will be accepted through Monday, July 1, 2019. Registration opens Monday, July 1, 2019.